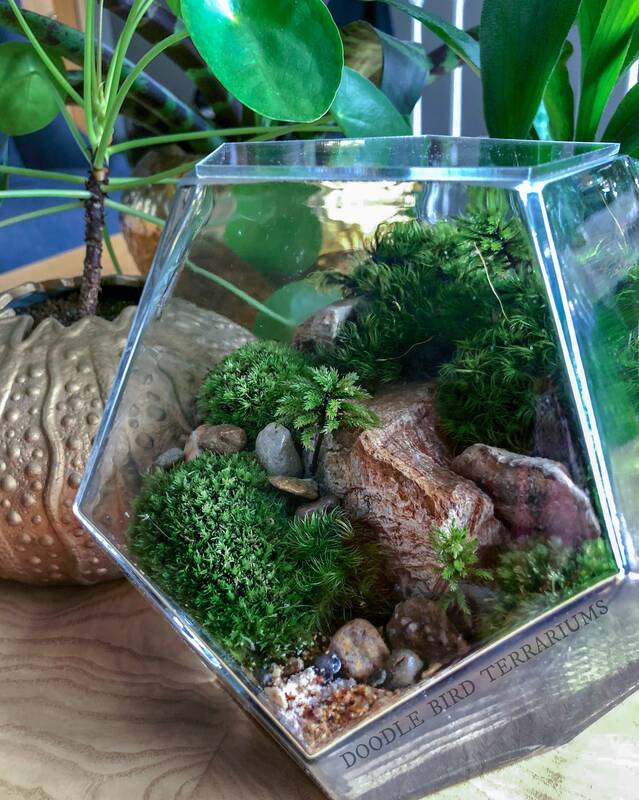 Miniature landscape scene neatly planted inside this pentagon shaped glass vessel which is topped with an “invisible” lid to lock in moisture. 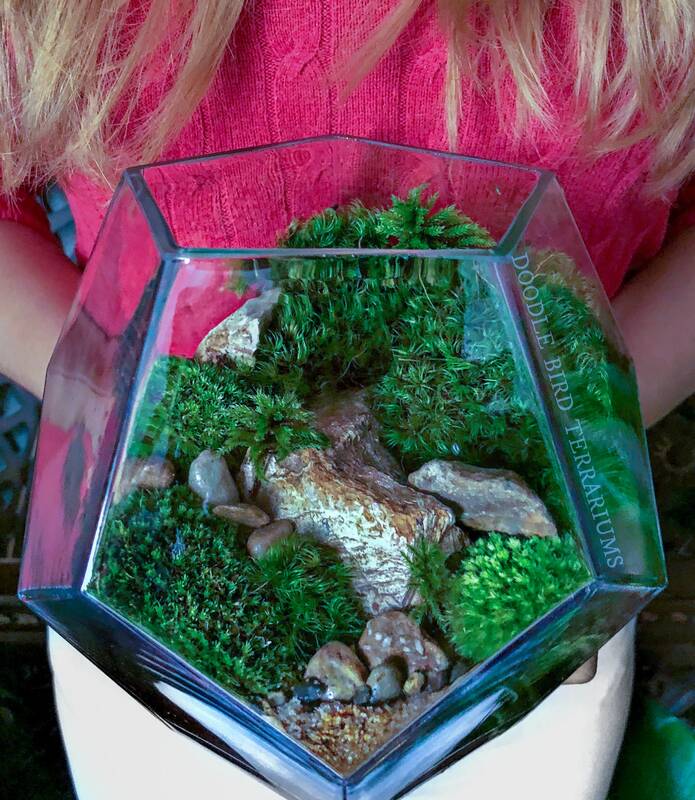 Planted are three live varieties of moss, the perfect plant for a terrarium environment. 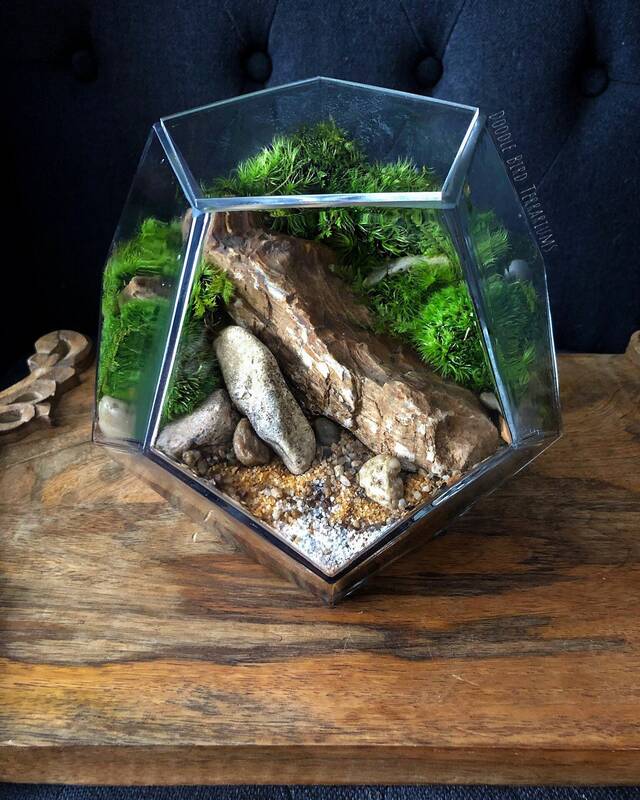 Each scene is artistically created by hand making every terrarium unique.